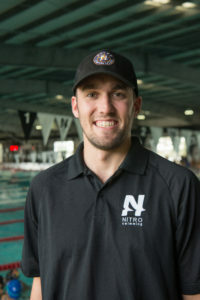 Head Coach Mike Koleber swam competitively in Michigan from age group through his college years at Oakland University where he was team Captain, 11 time NCAA All-American, and Senior National qualifier. 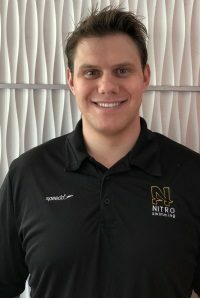 Mike started teaching swim lessons at the age of 13, helping out his Dad on Saturday mornings, which allowed Mike the opportunity to learn from the best, his Dad. 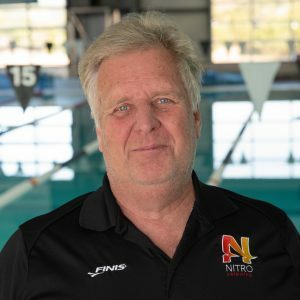 Mike has a true love of coaching and teaching, and does a tremendous job making new kids feel welcomed on the Nitro pool deck. 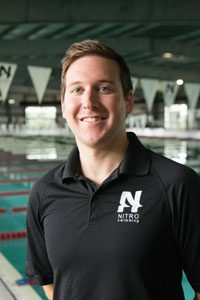 His drive to lead Nitro to ultimately become the #1 program in the country is infectious, and the staff works together as one unit with one goal: Make each swimmer a little better EVERY day. That is how Mike feels about being given the opportunity to positively impact as many kids as possible each and every day, and he does what he can to help make them better PEOPLE in the process. Mike is married to Tracy Koleber, who handles the background work behind the scenes. This would include payroll, all bill paying, taxes, capital improvements, insurance regulations, and about a million other tasks in addition to being Mom of their two kids Kalan and Kembree. They are members of Gateway Community Church and contribute in a variety of ways to local charities. 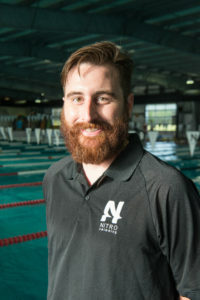 Coached more than 80 swimmers to the TAAF State Swim Meet in 2015, and preceding years. 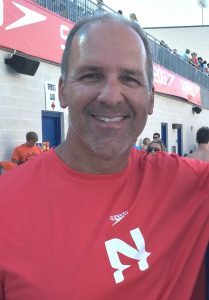 Hosted Olympic Swimmer(s), as guest speaker at Hood County YMCA swim clinic in 2011. 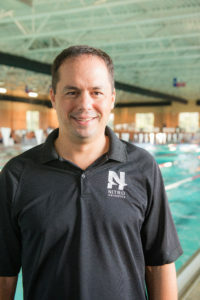 Founded private swim lesson program in 2010, and hosted five swim clinics. 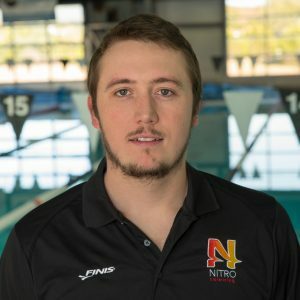 Assistant coach for Nitro Swimming September 2016 – present. I love God and I love kids. 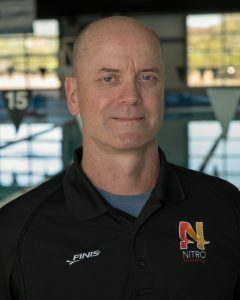 All levels from learn to swim, Rec, high school, NCAA and has more than 20 years experience as USA Swimming Coach. 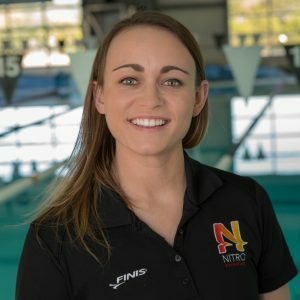 USA Top 10 Age Group swimmers, NCSA JR. National qualifiers, USA Swimming Jr. and National qualifiers, as well as an Olympic Trials Qualifier. 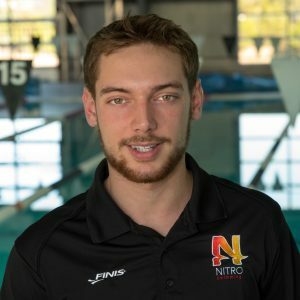 Several LSC Record Holders, event and relay champions in the Sierra Nevada LSC, as well as individual champions at Pacific Swimming Far Western Championships. Led Sun Oaks Aquatics Racing, a small team of 70 year round swimmers, and 150 summer to several Top 3 to Top 5 finishes at the LSC Championships between 2004-2015. 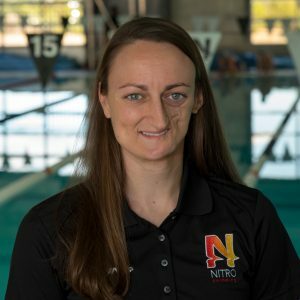 Assistant coach at Oakland University for three seasons, two for Coach Peter Hovland’s mens squad, including their last NCAA Division II Title in 1997, and one for Coach Tracy Huth as women’s assistant before moving to California in 1999. Randy is married to Alice Teeters and they have three swimmers in their family. Stefen, 10, Victor, 8, and Ruby Rose, 6. Randy enjoys music of all types and loves outdoor play. Fishing, camping and hiking are his favorites. University of Texas-Communications (Radio-Television-Film) Austin, Tx. HS Anderson High Austin, Tx. 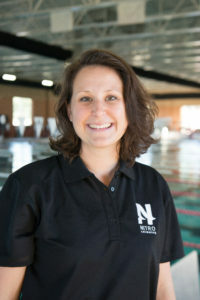 NITRO Swimming 2009-present Cedar Park, Tx. Anderson Mill Swimming-2007-2009 Austin, Tx. St. Andrews Episcopal Swimming 2005-2006 Austin, Tx. Longhorn Aquatics Swimming 1999-2003 Austin, Tx. Granada Hills Dolphins 2007-2008 Austin, Tx. Lakehills Splashers 1999-2005 Austin, Tx. Dell Jewish Community Center Summer 1998 Austin, Tx. American Red Cross certified CPR, first aid and coaches safety training. 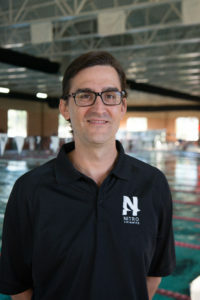 US Masters Swimming certified coach. Member of Boy Scouts of America. Fundraiser for Susan G. Komen Cancer Foundation. Fundraiser for Hurricane Katrina Relief Foundation. Native Austinite and UT alum, Hook ‘em! 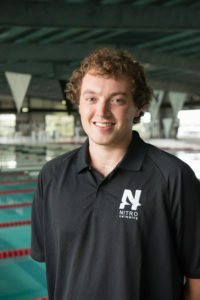 I swam for the Odessa Aquatic Club, Permian High School, Robert Morris University, and Southwestern University. While at Robert Morris I was awarded the NAIA National Championship of Character Award and while at Southwestern I broke two school records and was named captain my senior year. Central High School, Macon, Ga.
Born and raised in Macon, Ga.
Nephews – Jonas 5, Porter 3, and another nephew on the way! 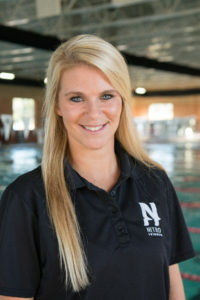 Paige McCord was named the Carson-Newman University’s Head Coach in October 2012 and helping build the Eagles’ into a nationally-recognized program that has earned two-consecutive berths in the NCAA Swimming and Diving Championships. 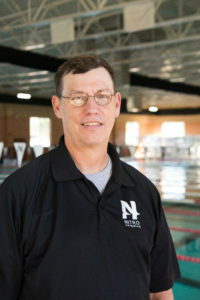 McCord guided the program for four seasons from its inception through its third year of competition. 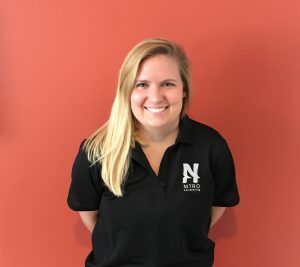 Served as the NCAA Student Athletic Advisory Committee Staff Chair, which helps athlete-leaders have a voice within the NCAA. 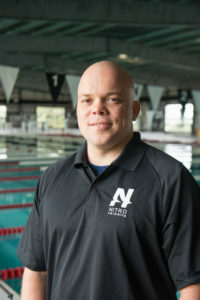 Head coach of USA Swimming Fort Hood Dolphins in Killeen, TX from 2009-2012; Masters and Age Group coach for USA Swimming Columbus Hurricanes in Columbus, GA.
During Paige’s time at Carson-Newman, the Tennessee native coached nine NCAA Swimming and Diving All-Americans, 16 Honorable Mention All-American plaudits, two Bluegrass Mountain Conference champions and accumulated 59 All-BMC accolades and numerous academic awards, including the first NCAA Elite 90 Award in Carson-Newman history, an honor competed for by athletes who have qualified for NCAAs and has a 4.0 average. The CN women’s program team finished top 10 in the nation at the NCAA Division II Swimming and Diving Championships. At the BMC Championships, the two programs combined to take home 23 All-BMC awards. During the regular season, the women’s program extended its meet winning streak to 10 and finished the year 5-0. Through the duration of the 3 seasons, school records in all 33 events continued to reset to quite respectable times. 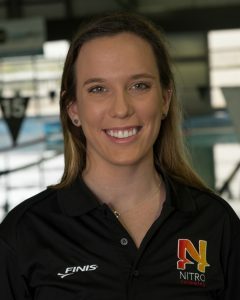 Three different swimmers placed 3rd individually at NCAA Championships. Additionally, the women’s team had the 2nd highest GPA in Division II in the 2015-2016 season. Paige and her husband, Daniel (retired Army Captain, who is also a swim coach! 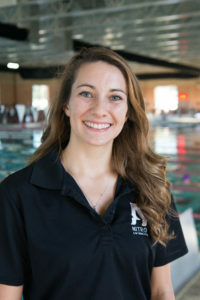 ), seek to Glorify God with their lives and are passionate about helping all people become Champions in and out of the water. 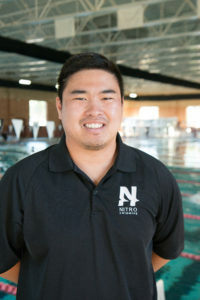 Bronze/Gold I Lead Coach, Off Campus P.E. I love meeting new people and trying new things. Some of my favorite things to do are reading, writing, music, movies, staying active, being with friends/family. If you see me on deck, feel free to stop and say hello! Enjoys running, swimming, & biking. 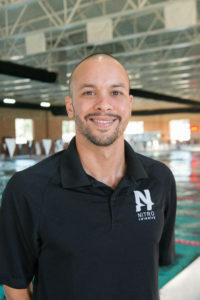 Participated in Triathlons once finishing his varsity swimming career and competed in two Triathlon Collegiate Nationals. Enjoys rubbing Coach Florian's head for good luck. In the process of getting my degree at Texas State University in Biology. Born in Arizona. 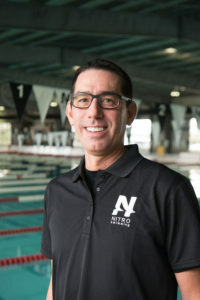 I swam for Nitro when it first opened. I attended Colorado State University- Pueblo with a swimming scholarship. I am currently attending Texas State University to get my degree in Biology with the hopes of attending Dental School after graduation.